Bonjour lecteurs! With the nice weather we are experiencing this week, I feel like we are on holidays. Exit the snow, the coat and the boots, Baba is now all geared up to look fab for the Summer. Bright and radiant tops, funky shorts and some shades… The Frenchie baby is ready to rock the new season with style. Baba Fashionista with Sense Organics is full of vibrant colours and cool designs. Ready to go to the beach and enjoy some ice cream? Even better, we teamed up with this colourful label and we have a fab giveaway. Indeed, we will give 20 of our readers each a £15/ €15 VOUCHER to spend with Sense Organics. Sense Organics is an organic German label established for over 18 years. If you visited this country, you must have come across its clothes as it is supplying major European department stores and natural health stores with Organic and Fairtrade products. 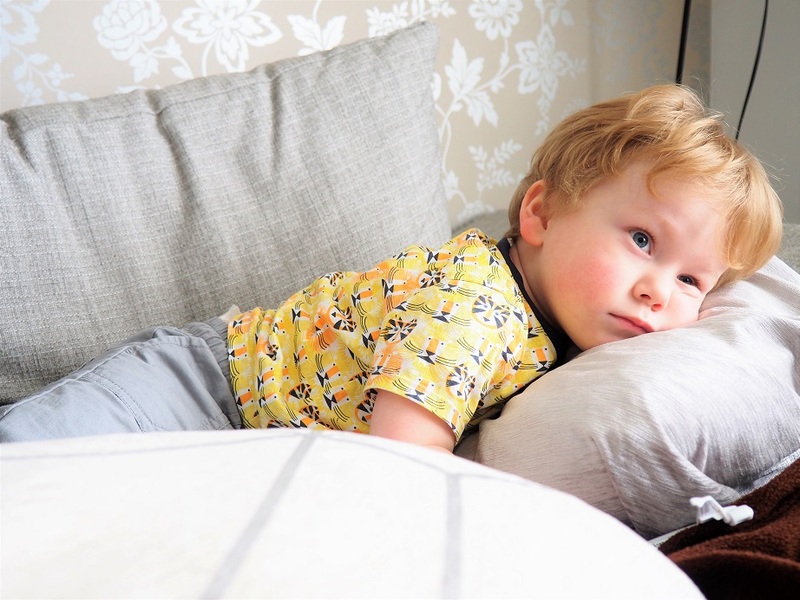 The label has for aim to create an organic baby and kids’ clothes range affordable to all. Bien sûr, they want our little ones to be stylish but not only! Sense Organics is also sustainable! 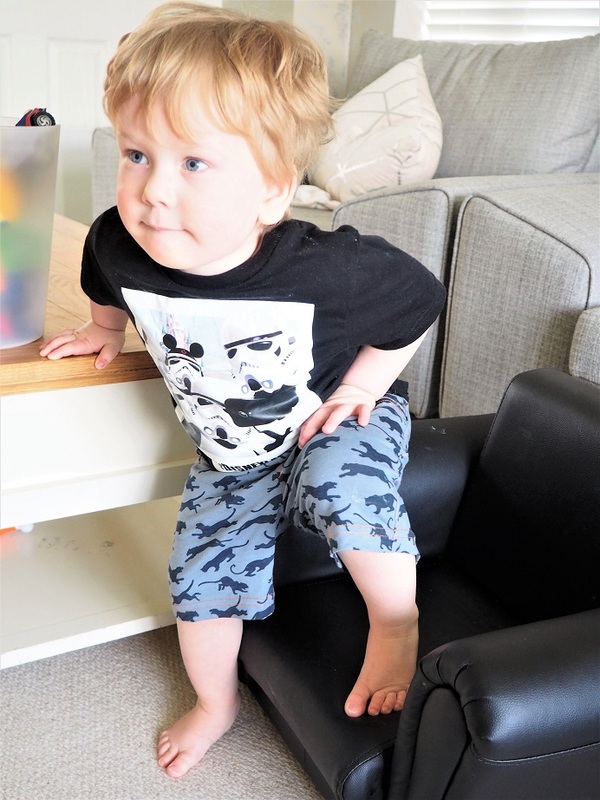 All its garments are made of 100% organic cotton and are certified fair trade. Over the years, the label has developed strong relationships with manufacturers so that the working conditions in its factories are fair. Another fab thing? The brand avoids the harsh chemicals used in the traditional cotton manufacturing process So that its clothes are soft on your baby’s skin! Check out the soft toys’ selection too. They are adorable as well as good for the earth. We love Sense Organics’ ethic! It’s affordable, beautiful and fair trade. And the items we received are so bright for the Summer! Check it out! 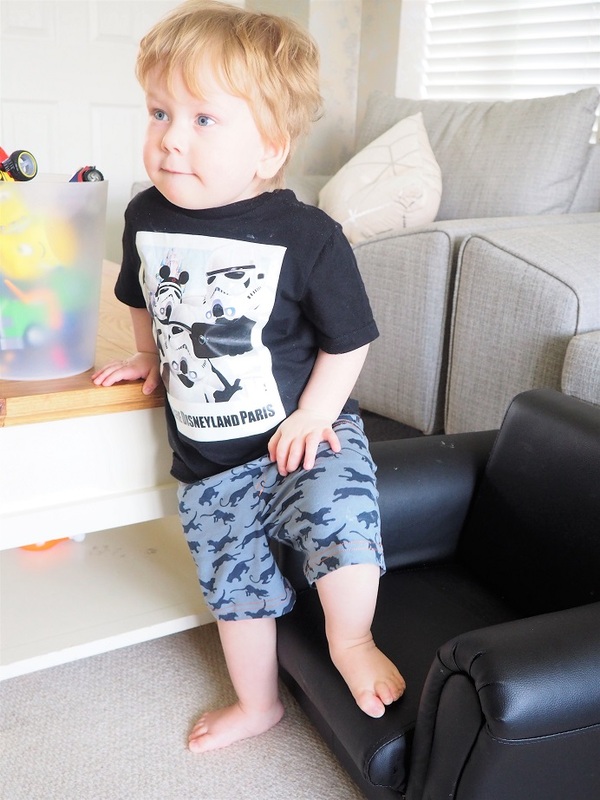 When you are a Baba Fashionista like mon fils, there is no way you can live without a cool pair of shorts for the Summer. Those with a panther print are parfaits for the season! Made of 100% skin-friendly organic cotton and GOTS certified, they feel light so great for the season. We also like the two pockets. Baba is always up to some adventures and brings along some stuff so it’s handy to have! Because this is the way to do it! The elastic in the waistband allows for maximum freedom of movement but also a nice fit. Easy to put on but also take off if you fancy an impromptu swim in the sea! My Baba is comfy and not too hot. Plus the colour is matching with so many tops we have! At home for a casual look or on the beach, looking fierce and trendy with the print, this is a winner. Yeah! Check me out! I am an acrobat! The quality is also super good: it is soft on my Baba’s skin and good to wash.
Talking about cool print, look what we got next! Being Frenchie, it not un secret. I love stripes! So I was over the moon to receive this top. It is so soft and light. Ideal if it’s a bit windy when you go to la plage. The striped top is a classic look. Yet, this one has a cute twist! The lion’s head appliqué spice up a bit this nautical classic. Plus the high-quality slub jersey makes this top look so sweet. I am always up for something a bit different and this lion is the sweetest of all! But my fave remains this! Yellow is usually not a couleur we pick when we go shopping. A pale and soft skin runs into the family and I never thought that it would be a good look for Baba. BUT… This totally rocks! I am getting a bit tired now… All this awesomeness is exhausting! Le petit détail that I love? The contrasting crew neck in blue that gives it a grown-up edge. GOTS and vegan, bien sûr this top is cool and sustainable. Did you know that only 2000 tigers are living again today? Aussi, lions were almost extinct in India, but in 1965 Gir National Park was created, where the lion populations could recover. You might wonder how I know this… Well, it’s all on the website. A label that makes sure that it produces some certified fair trade clothes? Wow! Each product carries the labels of the certification to prove it and the brand is super transparent with its customers. It is so good to have discovered a label that cares so much not only about its productions but which also has a desire to share it all with its audience. You might think that buying your clothes at Sense Organics will mean nothing, but that is that kind of little steps that truly makes a difference! Yeah! Now we can go out! Plus the whole collection is so funky and vibrant. We love the classic stripes mixed up with some unique designs. Soft on my little one’s skin, it’s also affordable. 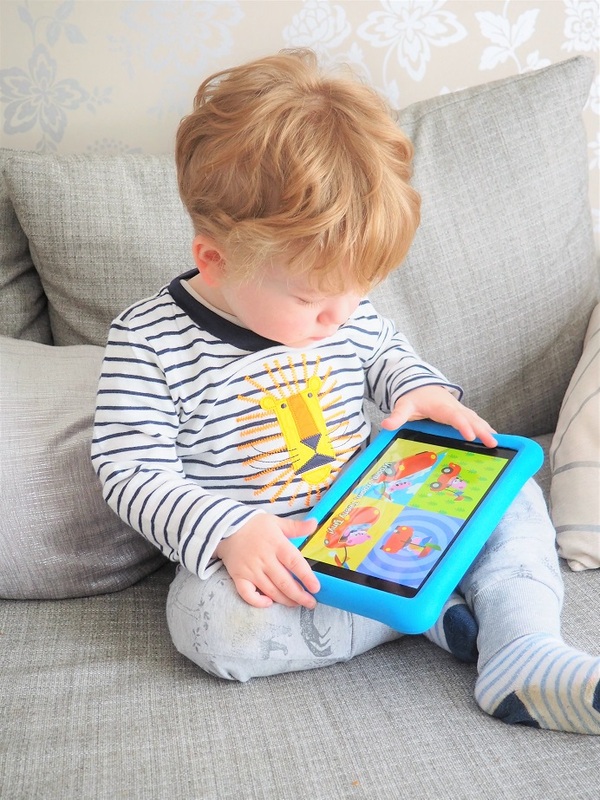 Because taking extra care of our cherubs doesn’t have to break the bank! Sense Organics has an obvious passion for fashion with a real interest to be sustainable. Fabuleux! So you can be a fashionista but also a good person! Loving the Summer vibes in this kidswear collection? In need of something gentle on your little ones’ skin? Did you get it? You can win a voucher with Sense Organics! So go on, enter the competition now! Lucky you! You can now win a £15/ €15 VOUCHER to spend with Sense Organics. This giveaway starts on Sunday 22nd April at 7 pm and ends at midnight on the 22nd May. The competition is open to European residents! We will select 20 winners at random. Provision of the prize is the responsibility of Sense Organics. Frenchie Mummy can’t be held responsible. Merci for reading Baba Fashionista with Sense Organics. See you next week with more kids’ fashion! Disclosure: We received the clothes in this post for free but all opinions remain my own. Love the lion t-shirt my baby Charlie won a competition for his hair and won a bad hair day lion so this would be perfect ? I love the colourful peacocks (in girls clothes). The peacocks are so lovely! my fav! Wow, what a model baba is! He’s a natural! Such a gorgeous little boy! Love these clothes – so sick of dreary colours and heavy jumpers. 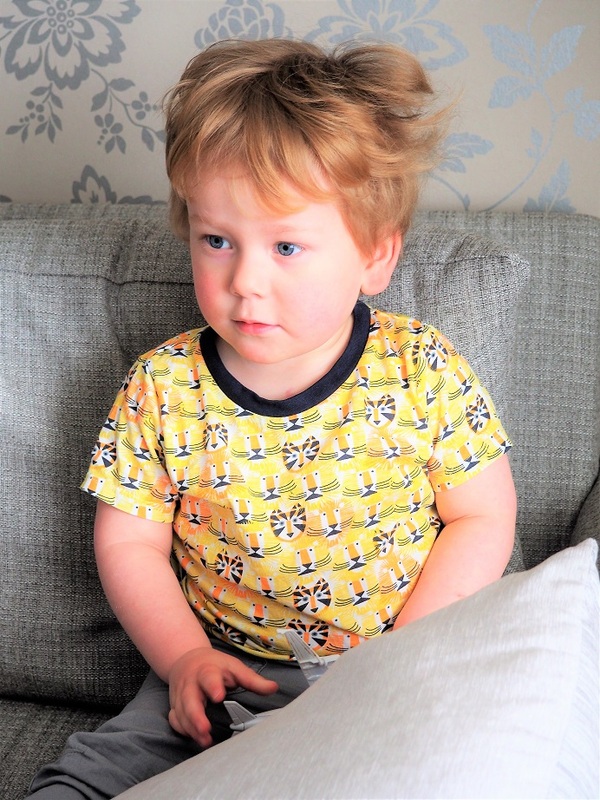 I really like Sense Organics ethos, too – 100% cotton plus fair trade and organic. These clothes look great, comfy and such stylish patterns. I am also a huge fan of the fact that they are sustainably made. I think that is becoming more and more important. I love the tiger t-shirt. I have to say he’s looking very cool in hospital outfits. And this brand sounds like a really good one too! Great giveaway as well. I love the jumpsuit that comes with an umbrella print! What beautiful fashion pieces for children! Those Khan bottoms are super cute and I totally love the colourful tigers top, nice and bright. 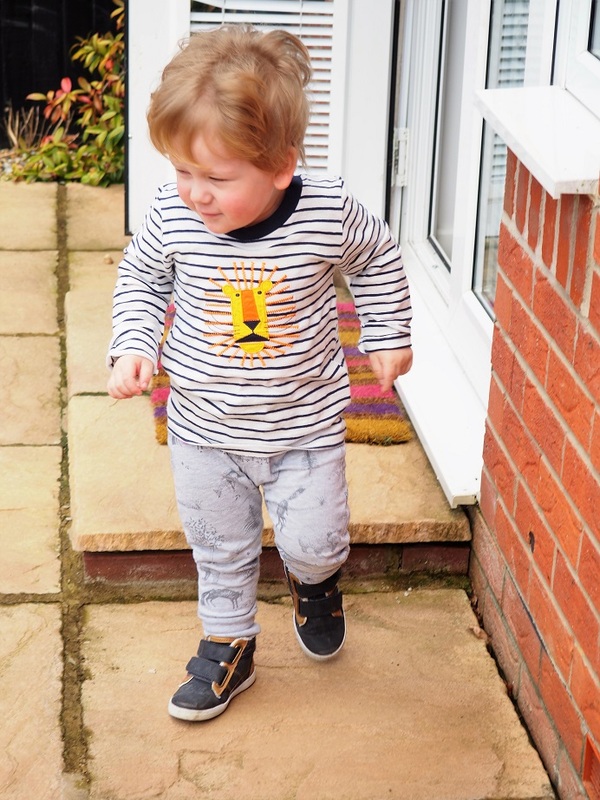 Loving the designs here – they are super cute and perfect for a little one gettting up to mischief! 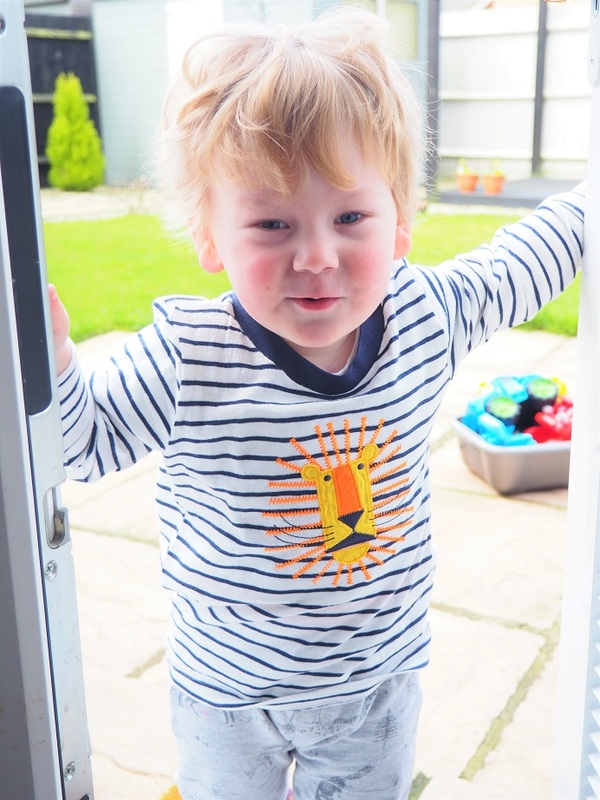 The lion’s head appliqué would become a favourite with our little grandson! I like the colourful peacock design. I like the fantasy peacock. It’s so cheerful. I love this well designed, well padded, colourful play mat, all those different textures for a baby to explore then as time goes by on the reverse are roads, railway and sea so toddlers can stretch their imaginations with creative play! I’ve entered, I love the soft feel of organic cotton. He looks lush in all his outfits and I love the designs, especially the lion applique top. Thanks for joining #KCACOLS hope you come again next time! 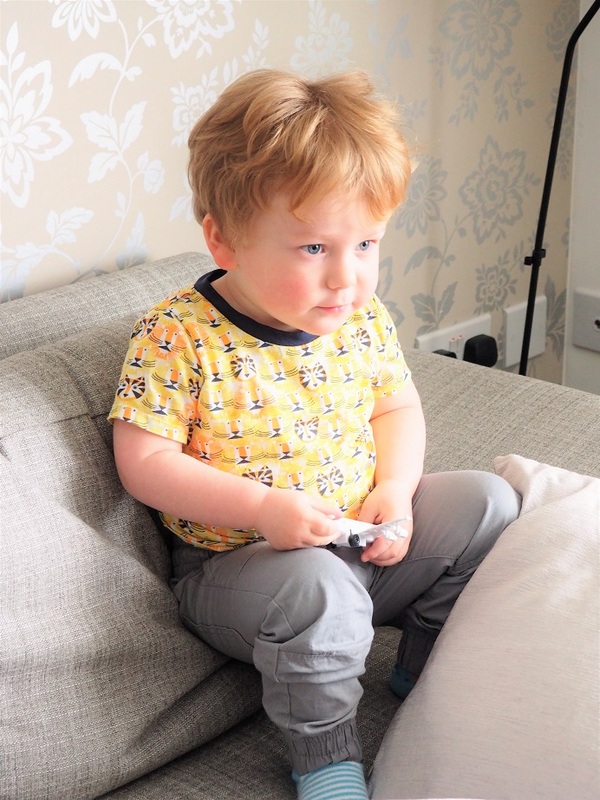 I love organic clothing for children – so soft and durable. And these prints are absolutely stunning! Thanks so much for linking up at #KCACOLS. Hope you come back again next time. oh so many lovely designs, I really like the polar print on the girls skirt. I love tropical print like pineapples & palm trees! I love the peacock print ? The lion print – is so fantastic! Definitely the lion for my baby Charlie who has hair like a lion ? I love the Peacock design? I clicked through to enter from the Baby Bjorn competition but this one is already closed. Wasn’t cheating! The lion design is adorable!